The Ninja 4-in-1 Cooking System has an array of features to give better control over the slow cooking process. It’s a big step up from the simplest slow cookers, but we’ll make the case for why it’s a great investment. 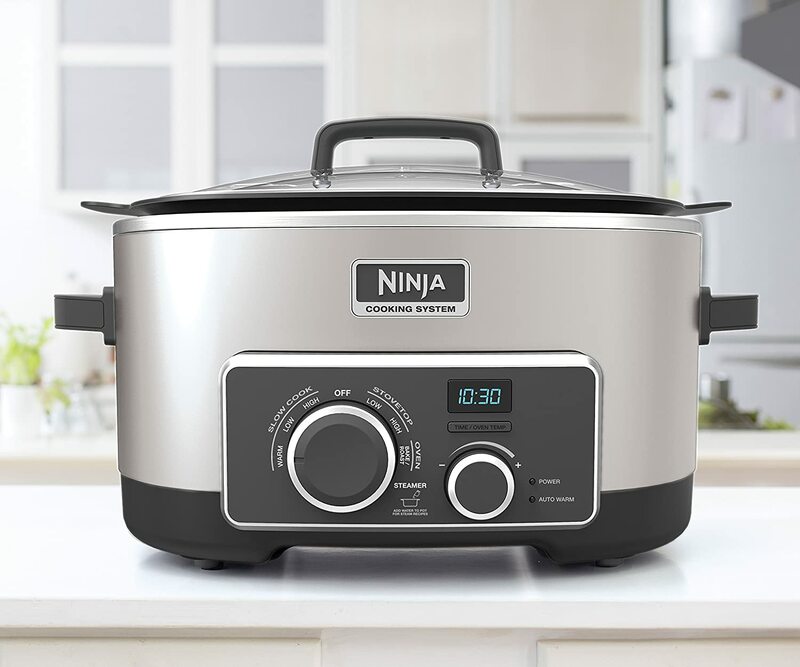 As a 6-quart slow cooker, the Ninja has the familiar ovular shape with two handles on the sides. However, its on-board features double its cooking capacity beyond what normal slow cookers can do. 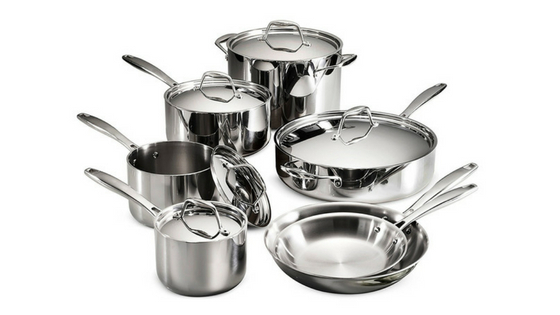 The 6-quart nonstick pot is removable and dishwasher safe. There is a large user interface and digital time readout in the front. The two moderately sized knobs are used to control the various cooking abilities. Ninja products, in general, have a futuristic look and feel to them. The Ninja also comes in black or red colors. They could be further complementary to your kitchen if you’re thinking of a specific decor. If you remove the nonstick pot, you can place the cooking rack or roast lifters inside. As we’ll explain later, these additional cooking utensils expand your abilities with the Ninja. The Ninja’s slow cooking abilities are pretty much on par with every other 6-quart cooker. 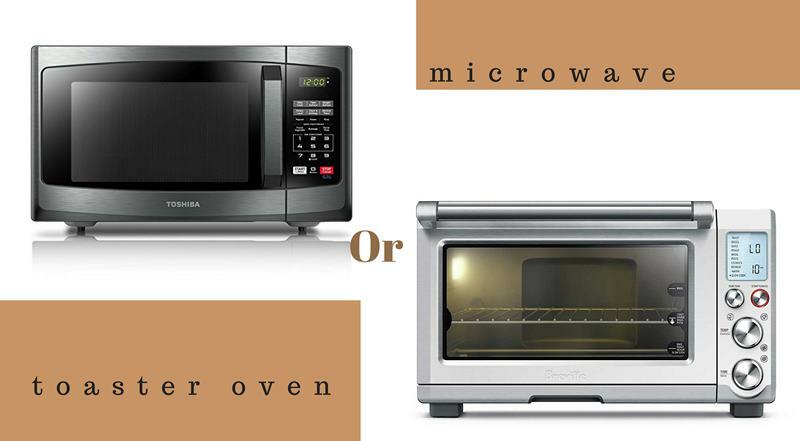 It has the same low, high, and warming features that many other slow cookers have. The real kickers are the stove top and oven features. The stove top section of the controls has two settings-low and high. While it doesn’t have the range of a normal stove top, the Ninja can cook frozen meals in under thirty minutes and have them served for a small family or party. The oven feature works a little differently. The smaller knob also controls the oven temperature, which can be displayed on the digital readout when the oven section is being used. 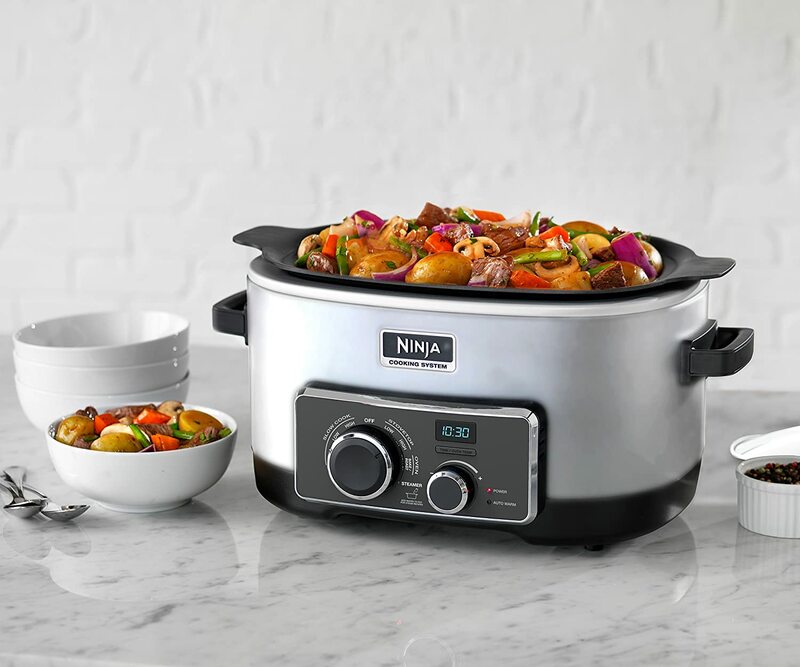 The Ninja cooker is easily the most versatile cooker on our list of best slow cookers. Its host of cooking abilities will definitely increase its price above most slow cookers, but we truly believe its worth the investment. You can see why the price is so high-its not just the slow cooker itself but everything that’s included in the package. Use the rack and lifters to further diversify your cooking potential. The Ninja cooker is the only cooker on our list of best cookers that comes with so much in addition to the main appliance. High tech slow cookers sometimes have average reviews because of buggy technology and unreliable heating systems. However, the Ninja cooker mostly eludes those negative reviews. Ninja as a brand takes great care in the development and maintenance of those advanced systems that set them apart from other brands. 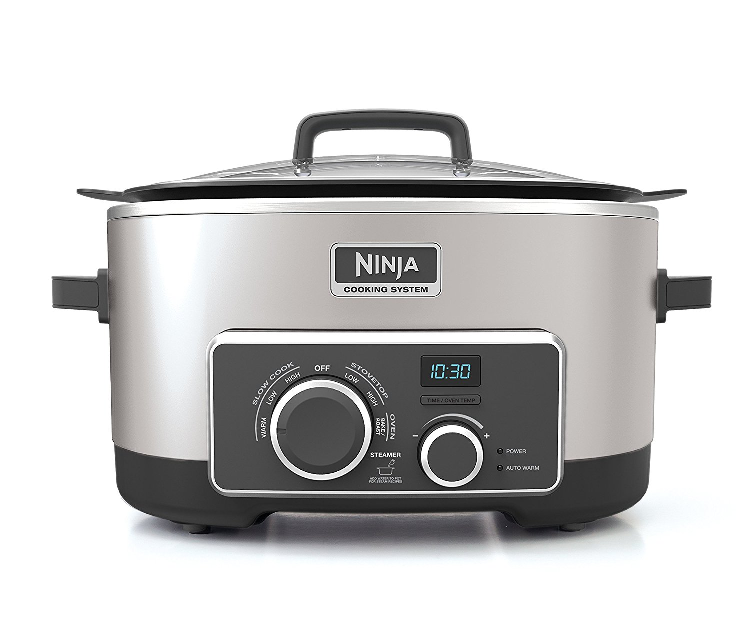 As a result, we argue that the Ninja cooker is one of the best slow cookers at 6 quarts. There are cheaper options both bigger and smaller, but none that are as versatile.